As part of the United Van Lines Agent family, oleRRelo provides Houston long distance and international movers with service second to none. When moving long distances, you depend on your moving company to ensure your belongings are relocated carefully and delivered in the same condition you left them. When you entrust your household items to oleRRelo, we take this responsibility seriously. That is why we are part of the United Van Lines network. There is a lot that goes into long distance household moving. Some people want to handle as much as they can take on, while others want a hands-off experience. United Van Lines offers flexible service packages to help with as little or as much of your move as you need. United provides flexible service packages; you can customize a packing plan that fits your individual needs, timeline and budget. We can pack as much or as little of your items as you need. United’s Full-Value Protection is part of every move at no additional charge. If you have highly valuable items, you can increase your protection with premium protection add-ons. As part of the United Van Lines network, oleRRelo can offer storage services across America and the globe. Your destination home may not be ready, but we can still store your items nearby. No need to drive your car to your new home. 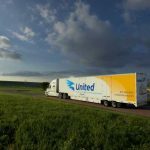 United’s fleet car-carriers can ship your car to nearly any city or small town in America. Let us make your move abroad as fun as it should be.